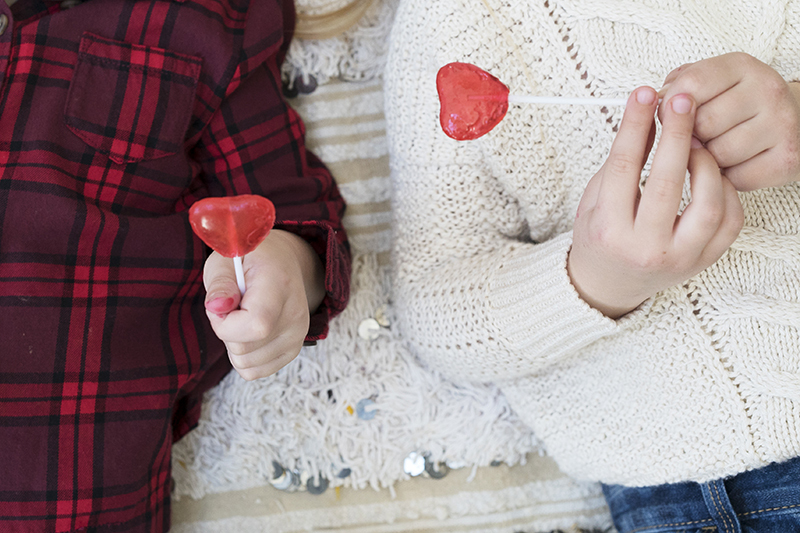 Bribing and threatening your kids—for some parents, it’s a way of life. But parent coach Rachel Sklar of ViaParenting doesn’t think it has to be that way. She claims that there’s a better way to get your child to do something or not do something from the satisfaction that comes with it, instead of a shiny object or a threat. 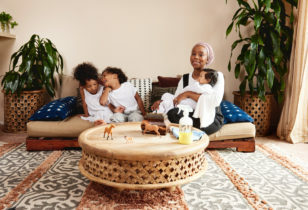 She calls her method “mindful motivation,” a practice she says is key in raising a self-driven adult, who will be more connected to his or her parents in the long run. Sound too good to be true? Here, we share a series of Sklar’s cornerstones to cut (or curb) the bribes and threats and start motivating your child mindfully. Your children are motivated by connection to YOU! Humans are pack animals, and science shows that we’re motivated to do good by a sense of belonging to the group. When you think of a stick dangling a carrot, lollipop, etc. in front of your child, replace the carrot with YOU. 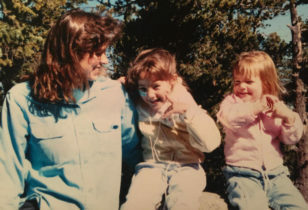 Your child’s connection and relationship to you is exactly what motivates them. Your ability to give your child a sense of emotional safety and feelings of belonging is the most powerful tool in your motivational tool box. Connection matters more than anything. Know the difference between intrinsic and extrinsic motivation. Extrinsic motivation is a reward outside of a person’s needs. It’s not the reward within the task itself, it is the prize at the end of the task, or the fear of failure (and hence, negative consequences) associated with the task. An extrinsic motivator is getting a lollipop, or having to sit in the time-out chair if you don’t do something. Intrinsic motivation is doing something for the love of doing it. Research shows that there are three main factors that drive intrinsic motivation—relatedness, competence, and autonomy. Learn the cornerstones of intrinsic motivation. Relatedness—This goes back to the pack-animal theory. If we feel a sense of belonging, we want to do good for the pack. Out of the three aforementioned intrinsic motivators, Sklar says this is where parents can have the most influence and take the most action. Remind your children that they are loved and accepted, no matter what. Autonomy—This is something deeper than independence. Children want to feel like something is their idea and want to see it implemented, not be micromanaged. Let them be creative and feel like they’re directing things. Motivate your child from the inside out. -Kids resist being controlled. They are motivated by a sense of belonging, not by feeling controlled. Remember that you want to influence your children, not control them. -Instead of focusing on your child’s behavior, focus on what’s beneath the surface of that behavior. Think of your child’s behavior like an iceberg. Above the waterline is the behavior you see—the screaming, the tantrum, the arguing. If you focus beneath the waterline, however, you can start to guess at what’s driving their behavior. Of course, you don’t know exactly what it is, since you can’t see it. Perhaps it’s fear, desire, shame, or feelings of exclusion that’s causing their behavior. As hard as it is, try to ignore the behavior that you see, and seek to understand what’s causing it. For example, “I’m wondering if you’re still frustrated that your brother took your toy” is a better way to connect with your child than trying to control him and telling him to stop crying. Also, asking a yes/no question is never as powerful or impactful as demonstrating genuine curiosity, even if your guess about the reason for the frustration is wrong. It’s all about acknowledging your child’s point of view, even if you don’t agree with it. -Be careful with “if/then” sentences, which often signal a bribe or threat. Instead, replace them with this format: “This is something you’re really awesome at. Let’s direct you in a different direction and we’ll stay connected.” For example, instead of saying, “If you brush your teeth right now, I’ll read you an extra bedtime story.” Try something like, “Hey, you love hearing stories about me when I was little. Come here, I’ll tell you a funny story about the time I walked in my sleep while you brush your teeth.” This is a good example of Sklar’s argument that the carrot at the end of the stick is YOU. At first, it sounds like bribery, but if it’s building connection and confidence, it’s actually mindful motivation. Know when to use different kinds of motivation techniques. There might be times when using extrinsic motivators (a.k.a. lollipops) is okay. These instances usually involve mechanical or rote tasks (versus cognitive tasks). For example, helping your child to remember to scoot in her chair or tie her shoes. However, if you are teaching a cognitive task in which you are teaching a value (versus breaking a habit), such as writing thoughtful thank you notes for presents or sharing a beloved toy, focusing on intrinsic and mindful motivators is key. Sklar calls it a “pay now or pay later” scenario. Of course you can use extrinsic motivation, but you’ll likely pay for it later. If you can teach your child through mindful motivation, it’ll have long-lasting reach. For more advice on this topic (including a teleseminar and 1-on-1 sessions tailored to your family) plus others, such as Sibling Rivalry and Raising Boys, check out Rachel Sklar at ViaParenting.